Darkness is encroaching on us in the Northern Hemisphere. We feel it a little more each night—the days are shorter, the light fades earlier. Samhain (pronounced sow-en) is an ancient festival marking the beginning of the darker half of the year—halfway between the autumnal equinox and the winter solstice. It’s celebrated on the night of October 31 to November 1. It marks the end of the harvest, a time of thanksgiving, of death and rebirth, of endings and release. It’s a mystical night when the veil between the earthly world and spirit world is said to be thinnest. Samhain is the time of the Visionary, the Enchantress, and the woman with a Red Moon cycle. Do you bleed with the new moon or the full moon? A Red Moon cycle is when a woman bleeds with the full moon. This is the cycle of the healer woman archetype: the medicine woman, the midwife, the magic-maker and the wisdom keeper of the community. This woman’s focus is not on bearing children but on birthing herself, her projects and visions, and on nurturing the community of other women. A White Moon cycle is when a woman bleeds with the new moon. She reflects the natural cycles of the earth, dark and inward when the moon is hidden, bright and fertile when the moon is full. This is the cycle of the Mother: a woman whose focus is on bearing and nurturing children. A woman in the Red Moon cycle tends to be more connected to the seasons of fall and winter. Her emotional world, her energy, her inner self all lean toward the reflective. She deeply understands her own darkness and is comfortable with inner retreat, self-exploration, and healing work. A woman in the White Moon cycle might be more connected to the seasons of spring and summer. Her nature can be more bubbly and effervescent. She interacts with the world in a more social and outward way. Are you a Red Moon or White Moon Woman? Whichever cycle you’re on, I’d love to inspire you to honour your cycle this weekend with a simple Samhain ritual. On the night of October 31, put a candle in your window. If you’re on the Red Moon cycle, make it a red candle. If the White Moon cycle, use a white candle. As you light the candle and watch it burn, consider what of the past you’re ready to release. Meditate on the candle as it burns. What do I still carry in my heart that’s old, that I’m ready to let burn away? What do I want to open space for in my heart? What do I want to invite in? 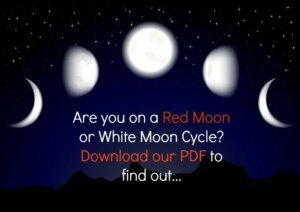 I’m thrilled to share with you a PDF I’ve created that will help you see and understand your Red Moon or White Moon cycle at a glance, with brief descriptions of the each type of cycle and questions to help you identify what your Red Moon or White Moon cycle might mean for you. 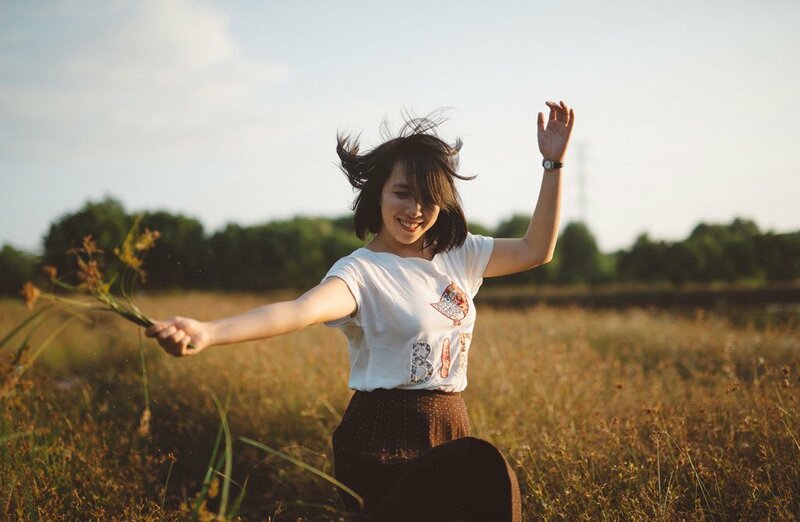 The PDF has grown out of the overwhelming response I continue to receive to a blog post I wrote three years ago, Should your period land on the full moon or the new moon to be in sync with nature? So many women have wanted to know more, and several have asked for a visual representation of this concept. This graphic is perfect for printing out for your notebook or bulletin board. The PDF also includes a page for recording your thoughts and insights during your cycle. Grab Your Red Moon / White Moon Guide Here!